These eggs look so pretty in that top photo, they remind me of a sadly discontinued Emma Bridgewater crockery print that I now kick myself for not buying some pieces at the time. Very interesting info about hens, it never occurred to me that eggs would naturally be seasonal like that. .-= Sarah, Maison Cupcake´s last blog ..Postcard from… Olympics 2012 Site, The Container Café =-. I had no idea eggs were seasonal – really interesting piece! Great to see all the eggs photographed after you’d cooked and sampled them. 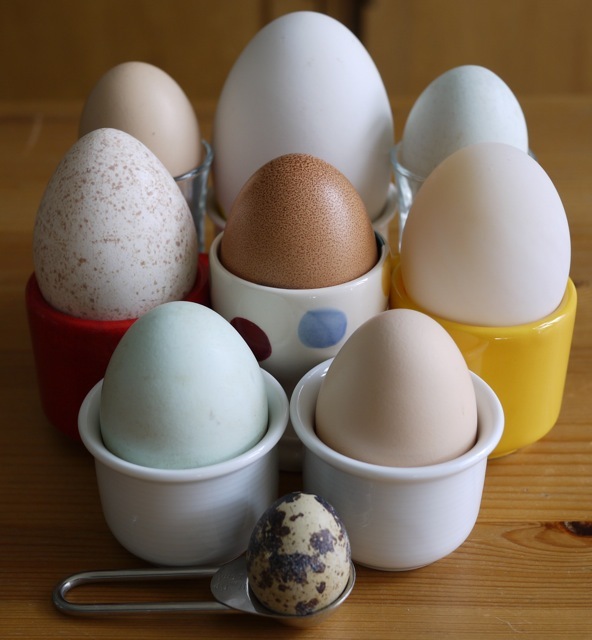 I adore hen’s eggs but have never been brave enough to try other varieties in case they tasted odd. You’ve inspired me to branch out. What a brilliant idea. Well done Linda on really original post. I’ve often wondered what the difference in taste would be between various eggs. .-= Jan´s last blog ..Black, Belly & Bubble =-. A great idea! Can vouch for Herve This’ method, works a treat. Love those Clarence Court eggs, such orange yolks in the hen’s eggs, yum. .-= scandilicious´s last blog ..Sunday baking to: (Get Your Kicks On) Route 66 =-. Sarah – you should check the Emma Bridgewater sales. They often re-run an old pattern in a limited quantity. I know the pattern you mean and its is lovely. Katie – I had a vague idea that egg laying slowed down in the winter but didn’t realise quite how seasonal it had been in the past. 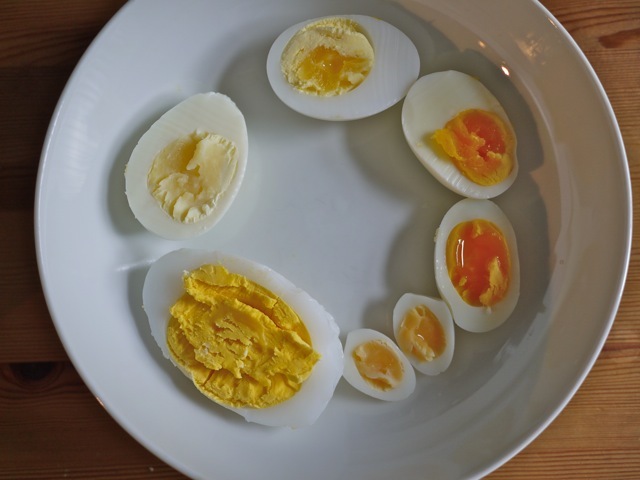 The main thing that affects the taste is the relative size of yolk, the bigger it is the richer the egg tastes. 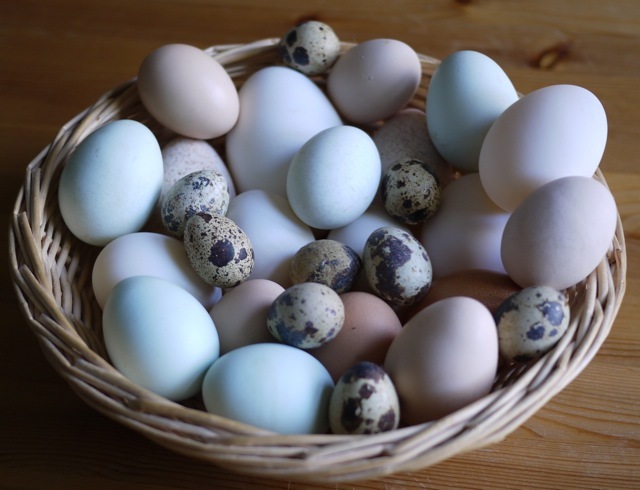 Jan – It was great fun getting the eggs and trying them. 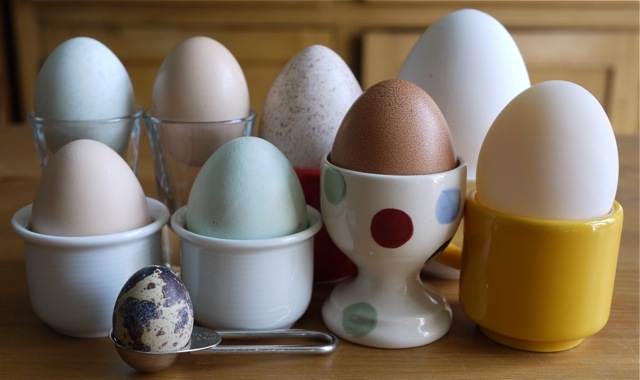 I’ve since had guinea fowl eggs and they are fab too, quite rich but tough shells on them.